From Vancouver to Nova Scotia, Canada seems to have taken notice; everyone is becoming "sustainable". But green weddings are more than a passing fad or just another potential "theme". They are a choice and a statement, many aspects of which are "behind" the scenes, irrespective of decor or fashion. One beautiful example was featured in our Real Canadian Weddings series, just last month: James & Eloginy There are many simple ways to have a green wedding, without compromising the overal experience. If you are planning your wedding during the spring or summer, opt for an outdoor wedding along the beautiful terrain that Canada can offer. Nothing can be more appealing, scenic and environmentally sound than a Canadian destination wedding al fresco. 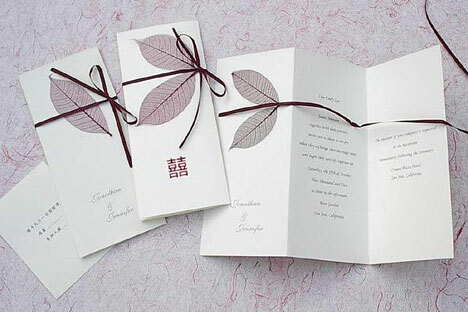 On-line services are available that can design creative and personal invitations to your specifications. The service will send your designated guest list via email the invitation and even keep track of who will be attending. Not only will this make your invites economical, efficient and stress free but Eco-friendly too. Try to have the ceremony and reception in the same place, so there won't be extra travel to get to a second location. Encourage your guests to carpool to your wedding by suggesting that on your invitations. While it may not always be feasible to have the ceremony and reception in the same location, arrange a shuttle to and from the venue and the hotel where most of our guests staying or a central location. This alleviates any worries about anyone driving drunk after the wedding and will help your guests tremendously, with an added bonus of cutting down on air pollution. Many couples are choosing to give their wedding party and guests' gifts that are symbolic of their earth-friendly attitudes. If you have out of town guests flying in, controlling their greenhouse gas emissions is definitely a major challenge. As your favor gift, you could compensate the whole or part of the CO2 emissions generated by their trip online with the airline they are using. Another favor ideas, is to make a donation in each guests name to an organization that works to help global warming and the environment. Calculated and offset the carbon emitted from each guest's flight or auto use to get to your wedding. 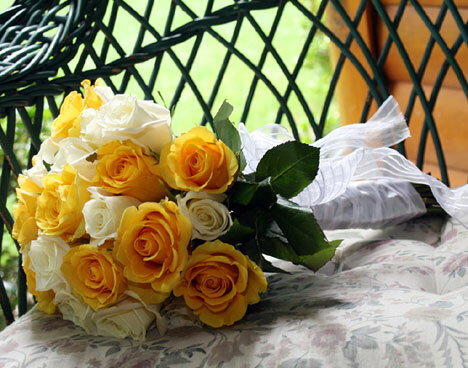 If possible, have your caterer and florist think organic when it comes to food and flowers. See if you can source either locally. Organic agriculture is known cut down on pesticides and near-by growers offer fresher produce with fewer CO2 emissions in transporting. 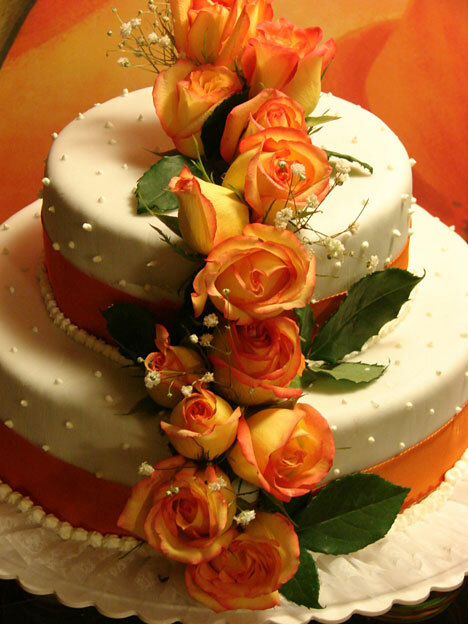 Even traditional wedding cakes bakers will work with you to incorporate local and organic ingredients. Flowers are such an important part of the day, and there are several ways of bringing the organic or "green" theme to decorating. Your florist should seek out local growers are for these plant materials. Requesting the caterer, baker and florist use environmentally concerned suppliers helps support Canada's local agricultural ventures. In the years since the introduction of digital cameras for wedding photography, many photographers are including the digital option or use both digital and film. The windfall of digital camera use for at least some of the photography helps eliminates the need for film and reduces the use of chemicals for film development.